﻿The importance of a fair, accurate and unbiased inspection to help you understand the condition of the home you are buying cannot be underestimated. A professional Home Inspection can help you optimize your investment. 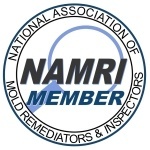 All Home Inspections include a one year membership in the Home Owners Network, a $199 value, for free. HON's "Ask the Experts" app is the first service ever to provide live technical support for home owners! Attention Sellers: Why wait for the buyer's home inspection to uncover hidden problems after you have already accepted an offer?